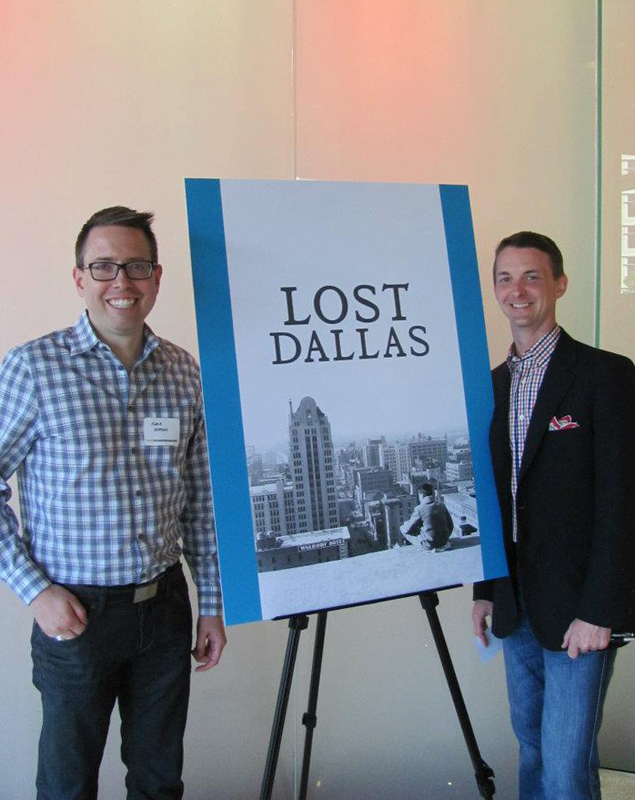 Inspired by Lost Dallas — a new book written by City of Dallas Historic Preservation Officer Mark Doty — the Dallas Center for Architecture Dallas hosted an exhibition exploring the buildings, neighborhoods & places that have been lost and forgotten since the city’s modest beginnings in the 1840’s. As co-curator and exhibition designer, Noah’s challenges involved bringing these stories to life with large-scale photographs and salvaged architectural artifacts. Historic photographs were organized and floated atop six chapter topics. 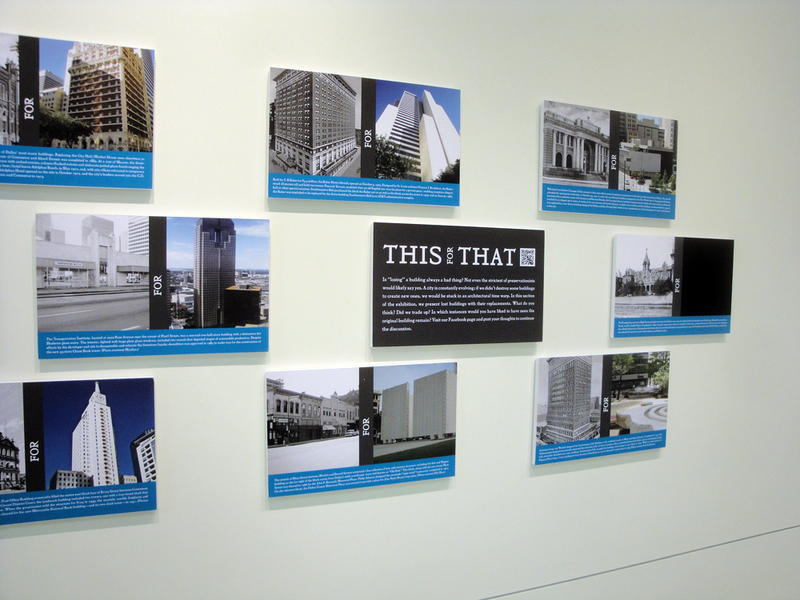 A separate “This for That” section compared photos from the past to modern views from the same location. A unifying color scheme tied the exhibit together while creating visual interest along the gallery wall. An evening lecture and book signing by Mark Doty accompanied the exhibition’s opening, and a special walking tour on the subject was also conducted. 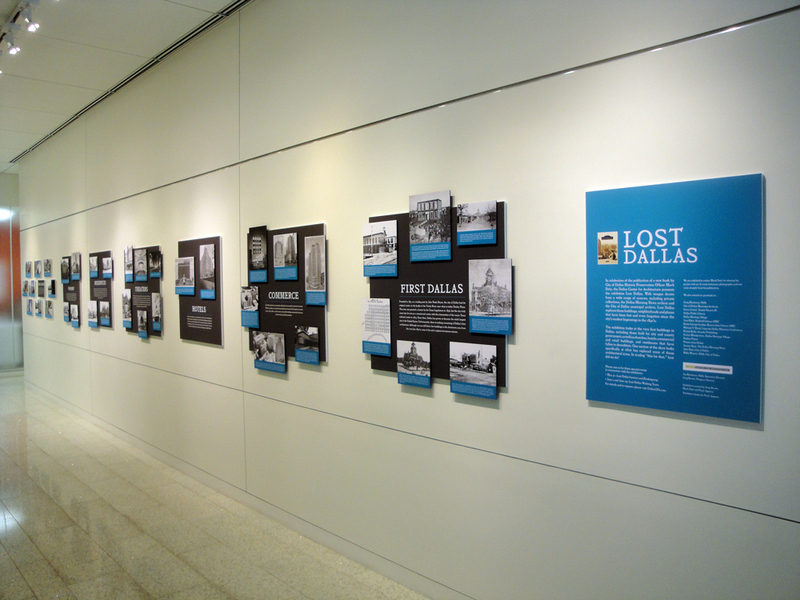 The exhibit is on display from May 21 to June 29, 2012.